The Union of Rural Cooperatives Lakonia is a secondary co-operative organisation which functions in the frames of Law of’ Cooperatives. It was founded in 1940 with seat the capital of prefecture, the Sparta. It has as its members the total of 70 First degree Cooperatives and represents 16.516 individual – farmers. The E.A.S. 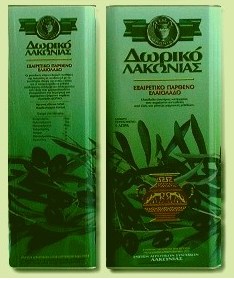 Lakonia acting with above thoughts, achieved to be today a enterprise key in the hands of producers. 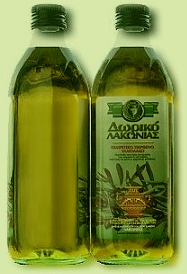 At the same time, it plays important role in the “Lakoniki” but also in the National Economy, enjoying recognition in all the enterprising circles in Greece and in the abroad for its reliability and for the leading quality of products that it offers. It is an organism with deep roots in the traditional Co-operative system and in its beginnings, but it also constitutes the better bond between the farmers and the consumers. 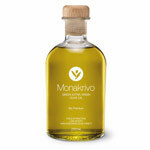 The overhelming supremacy of quality of olive oil that produces and packs the Union of Rural Cooperatives Lakonia is owed in the harmonious adaptation of olive tree in the region of Prefecture Lakonia. 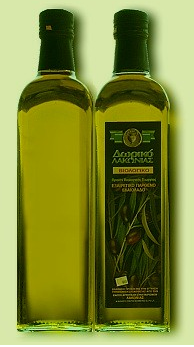 The climate, cold when and as long as needs the winter, with the ideal rainfall and sunlight in spring and summertime, as well as the rocky ground, constitute natural elements that allowed from the ancient years the culture of olive with big success. The residents of Lakonia conceiving these natural possibilities of place, but also the nutritious attributes of olive oil, never stop to cultivate olive trees. The E.A.S. 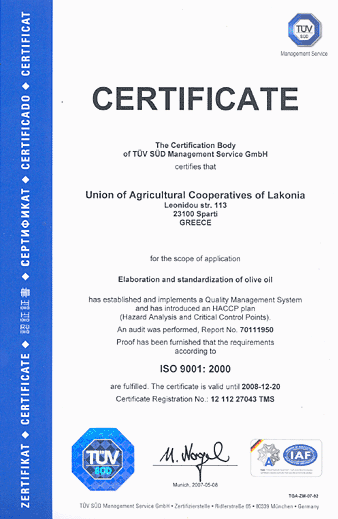 Lakonia continues this tradition, and developes it standardising, with the most modern methods and through a certified at Iso-9001 qualitatively process, a line from products which it allocates also in the hellenic, European and world market. glass bottle 750 ml and 1 lt, plastic bottle 1 lt and stainless container 3 lt and 5 lt.
Мы заинтересованы закупит Оливковое масло. We are interested to buy your products in large quantities on monthly basis. Kindly send us your prices for our perusal.